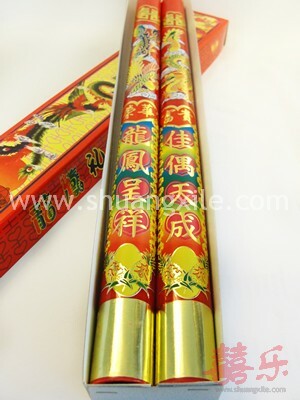 2 pairs are included as the betrothal（聘礼） to be sent over to the brides home. 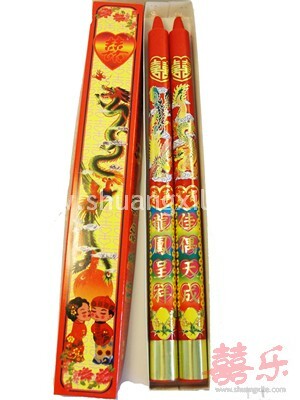 1 pair will be returned to groom's family as the return gifts（回礼）. 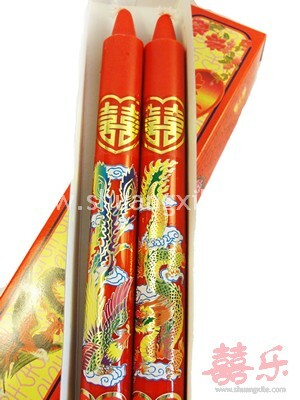 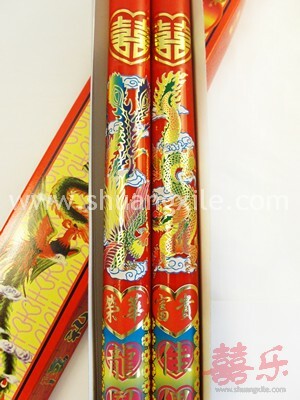 Both side will light up the candle on the actual wedding day to symbolize "龙凤呈祥，点旺香火". 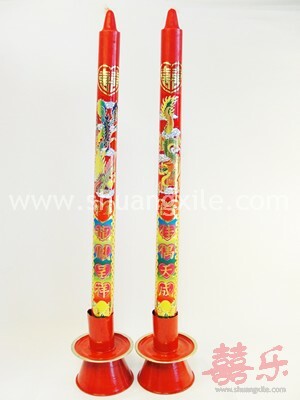 This type of candle without "leg" is preferred by either Hainanese or Hokkien.